One of the joys of living in Italy is not only the chance to visit places where Renaissance artists, poets, dukes and popes wandered the same hallways and alleys, but to visit locations where no less dramatic, but much more recent history took place. To Americans under 60 years of age World War II in Europe is often a vague set of facts found in a history book – a short chapter or two. 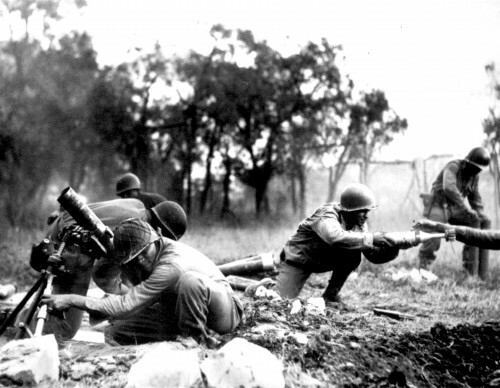 Italy, like Normandy, provides a full semester’s course on the sociological background, politics, alliances, military strategies, and both tragic and victorious outcomes, especially from 1942 to 1945 – the Italian Campaign. 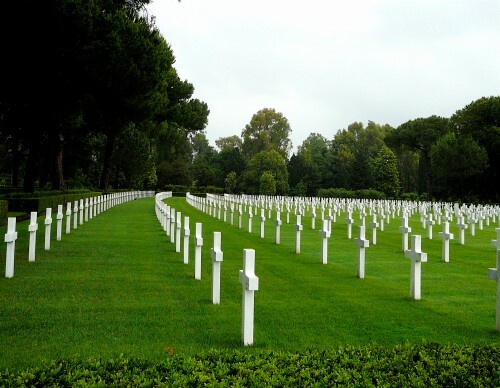 TuscanTraveler.com has a special interest in the American Cemeteries, located at Anzio/Nettuno and Florence. 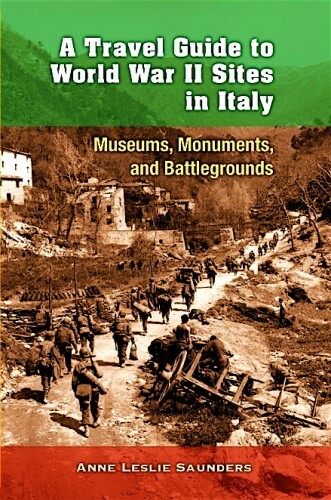 So it is a pleasure to find that Anne Saunders, an American researcher, has compiled a guide to almost every location in Italy where one can undertake a full study of the history of World War II and the Italian Campaign. A Travel Guide to World War II Sites in Italy describes and provides directions to over one hundred World War II museums, monuments, cemeteries and battlefields. The tours, with complete directions, travel times, maps and other helpful hints, focus on a particular city or region, following the Allied and German armies as they battled from southern to northern Italy. It might be more accurate to call this book “A Short History and Travel Guide of the Italian Campaign” because in this small volume (100 pages) Anne provides concise descriptions of the years leading up to Italy’s alliance with Germany, the Allied landing in Africa and Sicily, and the subsequent important battles and strategic decisions that led to the German surrender. Sections recounting the history lead into to description of the pertinent museums, cemeteries (American, Commonwealth, German, Polish, French and others), memorials and monuments. I learned that the Gothic Line was built by forced labor and that I want to go immediately to see the dramatic mountainside German Military Cemetery at Traversa where more than 30,000 German soldiers are buried. 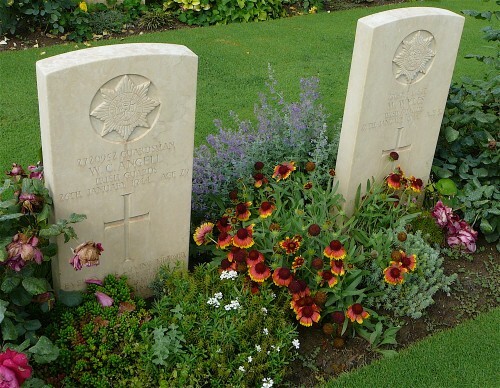 My only quibble with Anne’s book is that she fails to describe the beautiful flower gardens in which the Commonwealth soldiers are buried – not on the outside of the plots, but actually around each tombstone, as if they lie in an English country garden forever. Anne, a true researcher, provides an exhaustive bibliography and even a list of films about the Italian Campaign. She also provides hotel and transportation suggestions. Archival WWII photos illustrate the guidebook. For more information regarding the Italian campaign, read about WWII Italy and/or visit Anne’s complete and informative online page of news and links. Anne Saunders has a BA from Wellesley College, MA from Columbia University, and PhD from the University of South Carolina. She taught for over twenty years at the College of Charleston, where she is now a research associate. 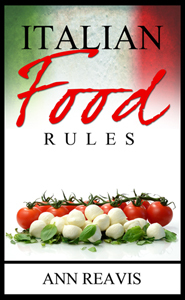 A lifelong fan of Italy, she spent four summers there doing research for the guidebook. I would like to know more about how she got the inspiration to undertake the years of travel and study that resulted in this informative and very helpful guide. Connect to Anne’s Amazon Author Page. To view the book’s table of contents and selected pages, click on its Amazon web page. Visit where to buy for a list of stores and web vendors in the USA, Canada, the UK, Italy, and elsewhere. Many thanks for this book info. 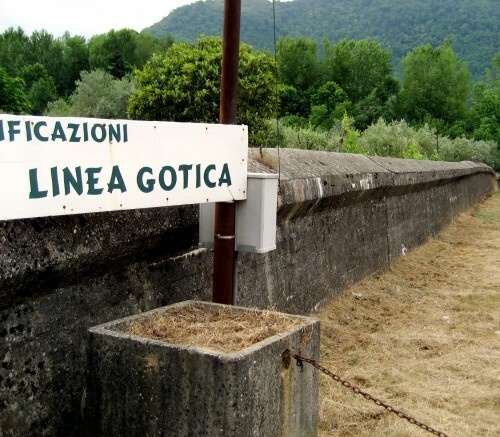 We live near the gothic line and often pass the spot where the gothci line photo on here was taken so I’m keen to find out more.